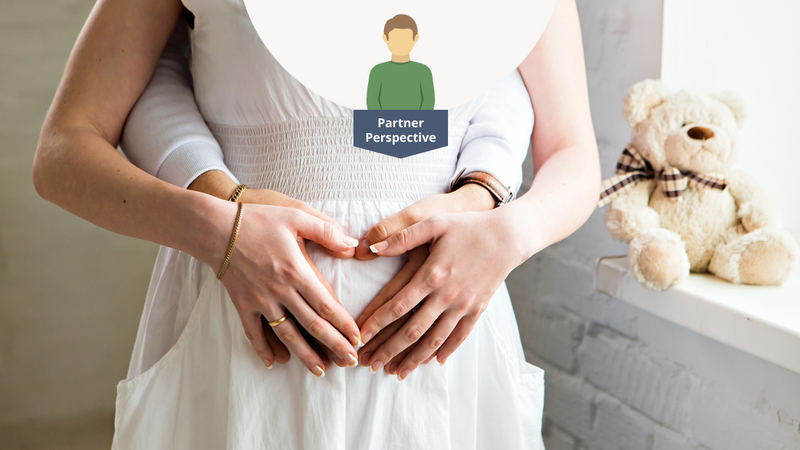 Generally, the fact your partner is pregnant means that you have an intimate relationship which involves a certain level of comfort and familiarity. And now, as you hit week 11, the reality is beginning to hit home. You’re heading towards the first date scan, you’ve told your closest friends and family and you’re wondering whether your car is going to accommodate your child safely – cue a trip to Halfords to look at the baby seats. But another kind of reality is also going to be hitting home too and it is of an intimate human nature: your partner’s increasingly conspicuous bodily functions. Excess wind is, historically speaking, your domain and you’re not used to the competition. Consequently, every time your partner lets rip you feel emasculated. If reason 1 is making you feel uncomfortable we can only remind you that pregnancy is, biologically speaking at least, the ultimate expression of the female attributes; and, yes, during pregnancy, this may involve farting and burping. If it’s reason 2 is your bone of contention, there are two possible solutions; you can choose to accept that this is just a brief period when you will have to take the supporting role to your partner’s starring role – effectively you’ll be her gassy sidekick. Or, alternatively, you can embrace the opportunity for a bit of competition by increasing your consumption of Brussels sprouts and upping the frequency and volume of your output. A more practical strategy, if she desires, would be to help your partner reduce the intake of foods that produce gas. For example, sweets, carbonated drinks, beans, dried fruit, broccoli, cauliflower and dairy foods, whilst maintaining a nutritionally rich and varied diet. You may also experience some surprising competition in the face and body hair department. This is because pregnancy hormones promote the growth of hair in places most probably accustomed to relative hairlessness: the face, abdomen and breasts for example. We suggest that unless your partner herself is really keen to remove the hair, you don’t encourage it. The women in our lives experience enough body image pressures in society without us adding to them. Just as pregnancy is natural, so too is body and facial hair growth in pregnancy – reassure and support your partner by reminding her of this. No, we’re not talking about the towers of pregnancy and baby manuals beside your bed, nor are we talking about the stack of paternity and maternity leave documents on your desk – no, we’re talking about haemorrhoids. You can help your partner avoid becoming one of the many who develop piles in pregnancy by making her regular cups of tea (for good hydration) and preparing her a steady supply of fibre-rich snacks (keeping her regular). Doing this will help reduce the chances of your partner becoming constipated and consequently developing haemorrhoids. If your partner does develop the dreaded piles, remember that witch hazel pads and anti-inflammatory creams can help alleviate symptoms (remind her to speak to her midwife regarding any health concerns she has, however intimate they may seem). Pregnancy is a natural but seismic event for any woman’s body. You can help your partner continue to feel confident and attractive by being attentive, compassionate and supportive throughout the process. So, whether she is gaining weight, sprouting hair in unexpected places, breaking out in the kinds of acne spots she thought she’d left behind in her teenage years or suddenly farting as she stoops to pull on her boots, show her that she is attractive and that she has your unconditional love no matter what. There is no need to feel embarrassed. Before too long you will see your partner give birth. Being there for the birth is probably even more intimate than the love-making that precipitated the whole chain of events. If you are squeamish or have any kinds of issues around bodily functions, you should discuss these with a health professional so that you can be there to support your partner as much as possible when it counts.